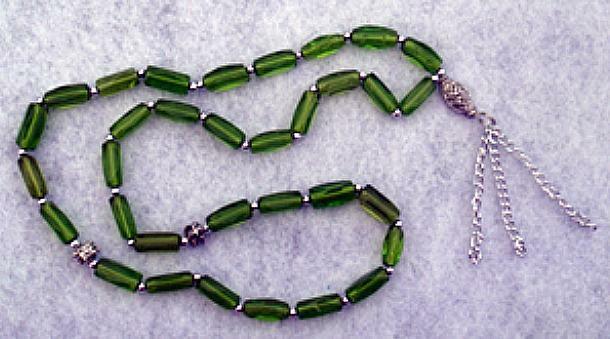 This string of Islamic prayer beads, or subha, is made of 33 geen glass beads, 36 silver spacer beads and two medium silver beads. 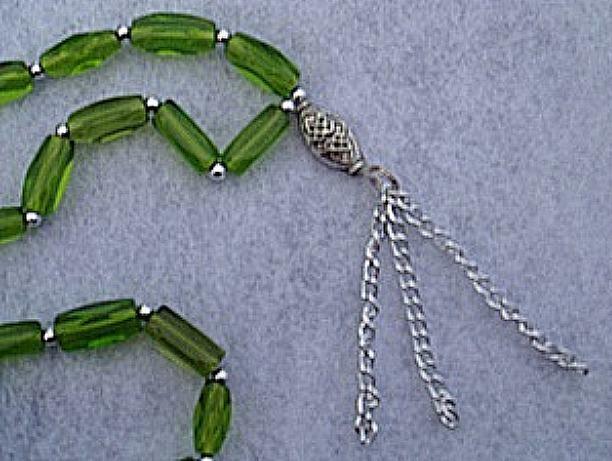 It ends in an oblong silver bead and three chains. The entire subha is strung on silver thread. A subha is a tool used to perform the ذکر (dihkr), an Islamic practice that focuses on the remembrance of Allah (the Arabic word for God). 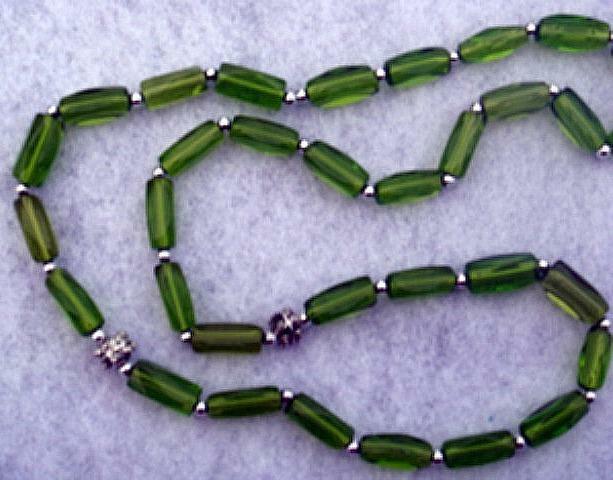 Some subhas have 99 beads, or a 33 bead subha can be cycled through 3 times to add to 99. The number 99 is important in Islam because it corresponds to the 99 names of Allah. Please check my store for other colors of subhas and shukran (thank you) for looking!